Microgrids and transmission exhibit a kind of classic Apple versus Microsoft rivalry. Each is vying to capture investor dollars to solve an industry problem, but in a different way. So what’s Anbaric, a long-time transmission developer, doing in the enemy camp? Where others might see competition, Anbaric sees a fertile business pairing — so much so that the Massachusetts company is working to raise $5 to $10 billion in investment capital to develop microgrids and transmission. He concluded that “in some cases, but importantly not in all cases” microgrids can supplant transmission. Transmission is necessary where large volumes of clean energy must move through the grid. Wind farms, for example, often are located in remote areas, so require long-distance transmission lines to send the power to population centers. Creating a more carbon-free energy supply necessitates such large projects, Krapels said, especially since today’s microgrids tend to rely more on natural gas than renewables. 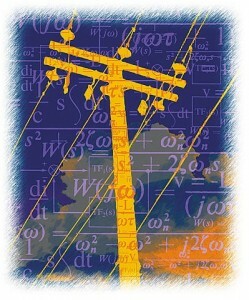 Microgrids and transmission: Which makes sense where? As a transmission developer, Anbaric knows how to identify areas of the grid that need some bolstering; the company brings that understanding to uncovering microgrid opportunities. “Because we know so much about the market, because of our transmission knowledge, we also know where transmission doesn’t make as much sense as microgrids. So now we’re willing to develop one or the other,” he said. Long Island, New York offers a good example of where microgrids may make more sense than transmission. Long Island also has several sites that are microgrid compatible: campuses, hospitals, and neighborhoods at the end of the electrical grid, such as the Rockaways, he said. These opportunities represent good engineering reasons for microgrids; but societal preferences also are driving today’s microgrid growth. Transmission lines often face opposition from nearby property owners; microgrids, however, are being embraced by communities as a form of local energy. Anbaric is focusing on raising capital from institutional investors, organizations with large funds that offer low-cost money for substantial investments. The California Public Employees’ Retirement System, the nation’s largest public pension fund, is a principal investor in the Neptune Regional Transmission System, a 660-MW HDVC project that Anbaric developed with partners. By combining microgrids and transmission, and creating a big spend, Anbaric hopes to overcome a problem of scale microgrids might otherwise face in approaching institutional investors. These large funds are not interested in the kind of small investments that microgrids typically represent. Krapels sees the $5-$10 billion portfolio being evenly split between transmission and microgrid development. The mix is likely to include a few large transmission projects, and many, relatively large microgrids, from 20 MW to as large as 500 MW. Anbaric hopes its investment strategy — securing low-cost capital through economies of scale — will dampen the cost of microgrid development. At the end of the day, will a microgrid be less expensive to build than conventional power? 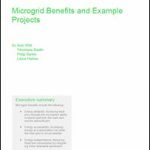 Read more articles like this by subscribing to the Microgrid Knowledge newsletter. It’s free.